FieldServer Technologies is a wholly owned division of Sierra Monitor Corporation, a publically traded company traded under OTC, SRMC, OB. 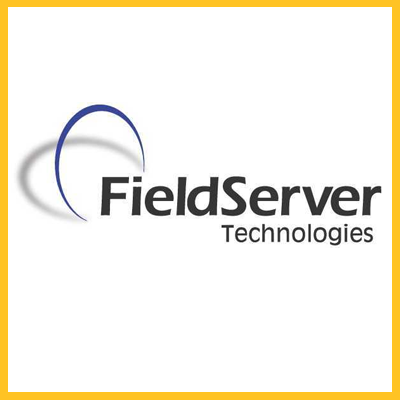 FieldServer Technologies designs and markets a broad line of devices that enhance communication between various instruments, systems, machines and other devices that utilize noncompatible data protocols. The FieldServer combined with the extensive driver library makes the perfect package to achieve interoperability. Drivers included in this library are Modbus, LonWorks BACnet, JCI Metasys, DH+, Profibus, plus drivers for fire alarm panels, controllers, and many other devices. The primary purpose of FieldServer products is to allow communications over Ethernet (IP) with delivery to client devices in a format which is immediately useful to the client device. Ethernet drivers include Modbus TCP, BACnet Ethernet, EtherNet/IP, BACnet IP, Allen Bradley CSP and more. FieldServer Technologies meeting the interoperability needs of facilities managers and process control engineers. FieldServer Technologies gateways are used in various industries worldwide. The FieldServer has helped many integrators perform the interoperability between devices and systems that the customer needed. Both system integrators and equipment manufacturers have come to FieldServer Technologies to find the solution they needed. Following are a few of the examples of such applications. Contact P.A.S. Technologies Sales Team at info@pastechnologies.com for further information.